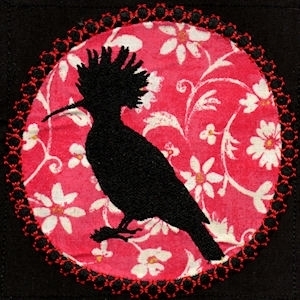 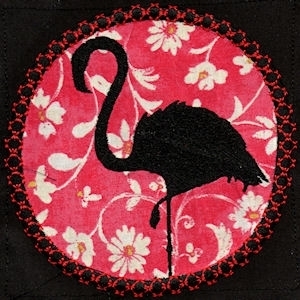 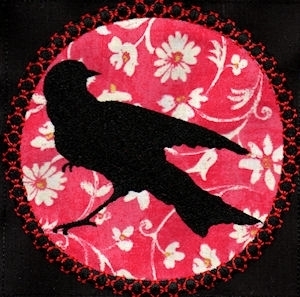 Nine applique quiltblocks with bird silhouettes. 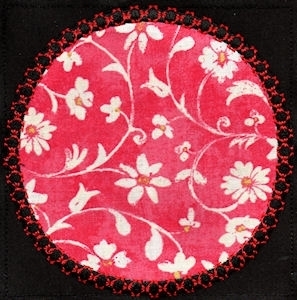 Blocks are made in the hoop and then sewn together with your sewing machine. 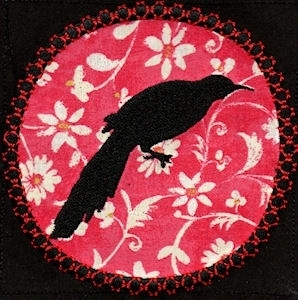 A "How To Do Applique" tutorial is included to help you get the best results. 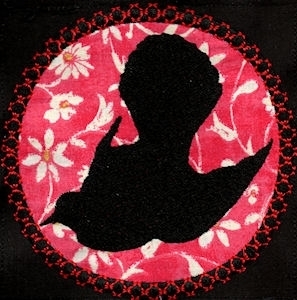 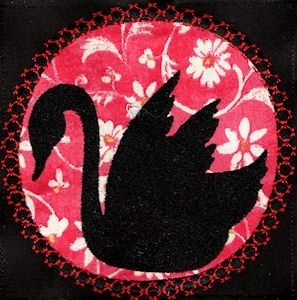 The decorative outline stitch is over the satin outline stitch (black in photos). 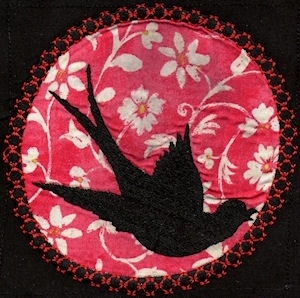 Each design measures 5" x 5". 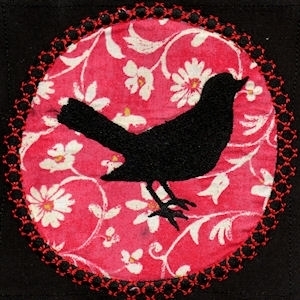 Owl Silhouette Applique - 2 Sizes!